It’s easy to feel far away from Australia when the time difference can be up to 20 hours, and the seasons are the reverse of the U.S. So when it’s a hot July morning in the U.S., your friends and family in Australia could be having a cold winter’s night in the Australian Alps. But despite the wide divide, Ooma makes it easy to stay in touch with your Australian contacts. Ooma’s high-quality audio with patented HD Voice technology might even make you feel as if there’s no distance between you at all. Staying connected to Australia by phone gives you a way to celebrate the country’s European, Asian, and Aboriginal legacies, traditions, and rich cultures. All of your favorite events, festivals, and holidays will be much closer when you can call your friends and family easily. From national celebrations to local events, such as New Year’s Eve, the Sydney Film Festival, the Brisbane Festival, the Melbourne Cup, and the Perth International Arts Festival, Ooma‘s VoIP home phone service means that you’re only a phone call away from Australia’s culture and celebrations. 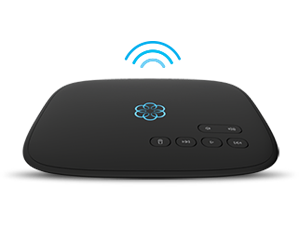 Ooma phone service starts with the Ooma Telo device that acts as your central hub for communications. This device provides advanced voice compression that reduces your call’s bandwidth by 60 percent over standard VoIP technology. Additionally, it encrypts your calls and provides new standards for call clarity through its innovative voice transmission technology. 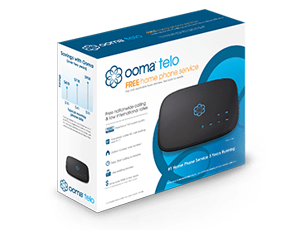 After setting up your Ooma Telo, you can access completely free phone service with unlimited calls in the U.S. You can also upgrade to Ooma Premier to access 35+ advanced phone features such as customizable blacklisting to block spammers, voicemail audio to your email, and the ability to add-on a voice to text service so you can read your voicemails instead of listening. Premier customers also get free international calls to Canada, Puerto Rico, and Mexico. Both Ooma Basic and Ooma Premier customers have access to Ooma’s affordable international calling plans. The Ooma World Plan costs a low $9.99 per month for the first year to have unlimited calling to all Australian landlines as well as landlines in 59 other countries and mobile phones in over 10 countries. Want access to Australia’s landlines, mobile phones, and special service lines? The Ooma World Plus Plan gives you unlimited calling to all three as part of the plan’s wide-reaching unlimited access to landlines in over 70 countries and to mobile phones in over 40 countries. Both plans are contract-free, and if you don’t make enough calls to need an unlimited plan, all Ooma customers can access affordable pay-per-minute rates to Australia. A major advantage of Ooma home phone service is that you can access Ooma’s low international calling rates from wherever you are. With Ooma’s free calling app, you can avoid paying the high international calling rates included in your cellular plan. Plus, the app makes it easier to negotiate the time zone differences between the U.S. and Australia because you can call when it’s most convenient. You can also use the app when you’re traveling internationally. When you’re abroad, you’ll have access to the same services and international calling plans as you do when you’re in the U.S. Plus, you can avoid international cellular data charges by connecting to Wi-Fi before placing calls. While the free calling app is available to all Ooma customers, Premier subscribers have access to additional app functionality. For example, while Basic customers can make unlimited phone calls within the U.S., Premier customers can both make and receive unlimited phone calls within the U.S. Interested in using Ooma for international calls to Australia? Get started at https://www.ooma.com/home-phone-service/international-plans/.